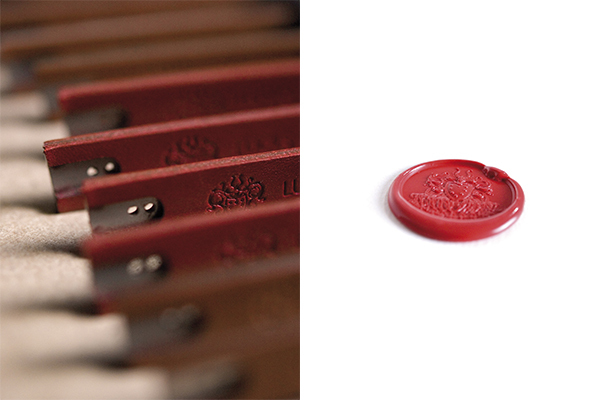 We use sophisticated laser-cut machines to cut our organic inlays. Our workers then meticulously apply those materials to our frames.
" When you develop glasses, you have to work on the technical aspect, the organic aspect, the morphology, the design. It's a very complete product that is at our scale "
Working with singular materials is our trademark, which adds a unique flavor to our creations. 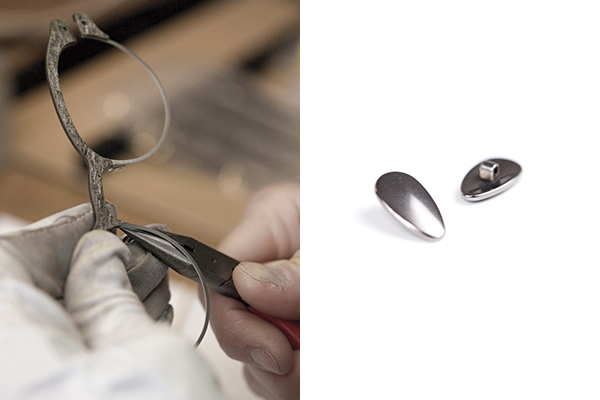 Thanks to our skilled workers and efficient tools, we are able to offer grade A products.
" We are constantly developping our own tools, prototypes and methods, in order to offer truely unique frames "
Every small steps of our production is completed with extreme precision, slowly and surely bringing our collections to life. 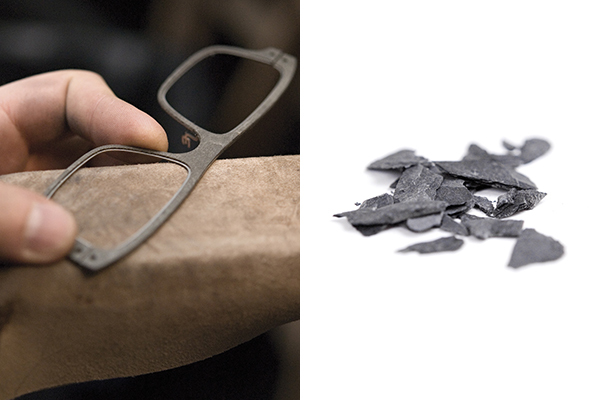 Cherishing our materials is one of our mottos, exceptional materials made for exceptional frames. 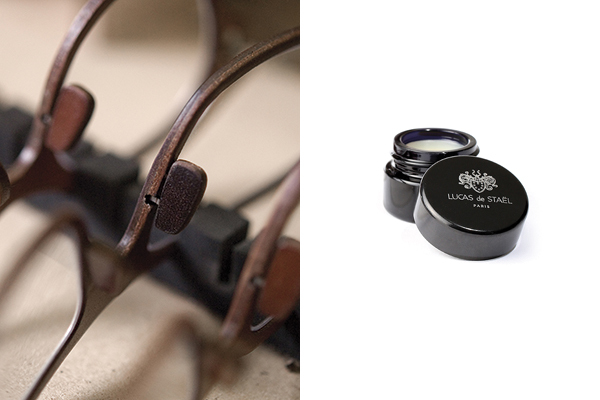 Hot-stamp, gold foil and many more: we leave our mark in the eyewear field by paying great attention to details.